Look if you're in the dark, high bloodpressure is one of the most silent deadliest killers that afflicts modernsociety. 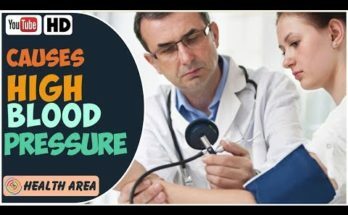 If you struggle with high blood pressure you need to watch this video toits completion because the longer that you watch the video more and more tipswill be revealed. 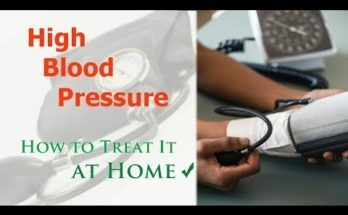 The best foods to eat for high blood pressure will be revealed my name is Dr.
Ryan Shelton and thistopic is important to me because it has afflicted my own family. Its afflictedhundreds and hundreds of my own patients I didn't want my dad or older brother todie from cardiovascular disease, heart attack, or stroke. I didn't want any of mypatients to suffer from those maladies or morbidities so I took it upon myselfto devour research to come up with foods that would help with blood pressure. Iknow that diet is important to help control blood pressure one patient inparticular came to me with side effects from the high blood pressure medicationhe was taking, cough, headache erectile dysfunction, he wanted somethingdifferent he wanted a different approach and so I've devoured research intonutrition and diet to make sure that my patients and my own familyreverse blood pressure, high blood pressure. 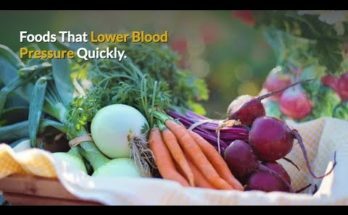 Reverse the effects of highblood pressure, now what I found was that it's mostly about patterns of food thatcontribute to high blood pressure. 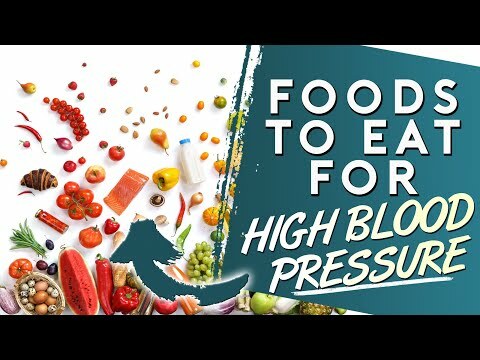 In the early 90s researchers and physicians,scientists wanted to know what type of diet contributed to highblood pressure and what kind of diet could reverse high blood pressure. No onewants to be on those medications that cause side effects dangerous sideeffects so they developed something called the – dietDietary Approaches to stop hypertension – now originally the – diet was thoughtto be effective because of low sodium or low salt intake but it turns out we nowknow that the – diet is helpful because it's high in fruits and vegetables it'slow in meats or at least high fatty meats it contributes to high bloodpressure eating lean meats is important it's high in nuts and seeds and low-fatdairy products they removed processed foods because processed foods containadditives and higher amounts of sodium and they found that the – diet waseffective for actually treating high blood pressure another series of studiesmultiple studies have shown similar results. The Mediterranean diet high infruits and vegetables nuts and seeds sea foods and berries now what I did was Ilooked at the – diet and the Mediterranean diet and I wanted to knowwhat they had in common to develop the best diet to reverse resolve high bloodpressure or hypertension and it it fell down to something called the dietaryinflammatory index which promotes inflammation and we have to curbinflammation if we are interested in resolving high blood pressure I lookedat different types of diets and I wanted a complete diet to help my family tohelp my patients and to help you I consider food as medicine and so Iwanted to see the best parts of the diets that were researched so that Icould help you and this is what I found the diets were high in potassium thediets were high in magnesium the diets were high in essential fatty acids, Omega3, Omega 7, Omega 9, and so what I learned was in implementing the best type ofdiet to help my patients and my family this is what I came up with four to sixservings of fruits four to six servings of vegetables every single day a coupleimportant ones are beets and sweet potatoes, bananas, avocados, becausethey're high in potassium and magnesium. One to two servings of legumes or beansevery single day one to two servings of nuts and seeds every single day, two tothree servings of seafood or healthy fish with omega-3 fatty acids everysingle day, restrict yeast products or baked products the breads and and thecroissants and the doughnuts restricting them because there's interesting studiesthat show that yeast products baked goods contribute to high blood pressureor hypertension and then culinary herbs are really important to garlic gingeroregano thyme rosemary any of these flavorful herbs and spices that you canadd to foods research shows can help with high bloodpressure, so including them with every meal of the day breakfast lunch anddinner and eliminating processed foods which tend to be high in sodium or saltlimiting fatty meats – two or three times a week and incorporating leanmeats such as poultry and grass-fed beef twoto three times a week incorporating more fish and shellfish into your diet can behelpful as well and I've reversed high blood pressure in my family in mypatients through just diet alone and most of the patients can come off of themedications that they're on that caused terrible side effects now we've createda couple of supplements BP Zone which helped tremendously to reduce bloodpressure an Omega 3 7 9 Plus krill fatty acid which included into your dailyroutine and dietary patterns can have tremendous impact on lowering bloodpressure I would encourage that you share this with your friends with yourfamily with your loved ones because I want to put an end to blood pressure andyou can do it with diet you can do it with exercise hormone balancing but itstarts with food as medicine make sure you subscribe to the notifications we'vecreated some other videos about high blood pressure and hypertension that Iwant you to check out as well make sure you share with your friends and lovedones and give me your feedback I want to know what you struggle with how yourdiet impacts your blood pressure I want to know what you use for treating highblood pressure because I don't want you on those dangerous drugs that can causeside effects. I am on this journey with you thanks.